Do you want to enjoy better health now AND create a foundation for continued wellness for years to come? Let’s face it: It can be challenging to make the changes necessary to be healthy. Our modern world is full of distractions as we are expected to keep up with all of the hectic demands of daily life. Believe me, my life is a good example of working to stay balanced amidst a very full life. When we are struggling with chronic health problems, so often it is a sign that we need to look deeper into our lives and make a higher commitment to creating the life that we really want. Rather than just putting a bandage on our symptoms to make us feel a little better, we need to make some fundamental changes that will enable healing to take place at a core level. This often means changing the way that we perceive the world as much as it does changing our diet, exercise habits, etc. Classical Chinese Medicine is an ancient form of Alternative and Complementary Medicine that can gently guide you to a more vital, meaningful, and enjoyable life. I take pride in using Acupuncture and Chinese Herbs to not only improve your current health symptoms, but to also educate you to live your life to the fullest, and to keep yourself thriving for as long as you live. In this sense, I pick up where Western medicine so often leaves off. I take the time to help you get out of pain and heal yourself on all levels, not just give you some temporary relief so you feel a little better in the short term only. That is the power of Chinese medicine and the purpose behind my clinic. Wright Acupuncture and Massage is a fully licensed Classical Chinese Medical and Natural Health clinic located in Auburn, CA minutes away from Downtown Auburn. I form a compassionate and healing rapport with you and teach you the valuable tools of self-care through educating you about this wonderful Holistic Healing approach as it applies to you individually! What Sets Our Clinic Apart From Other Chinese Medical Practitioners? I completed post-graduate work at Cedars Sanai Hospital in Beverley Hills, CA, earning a Board Specialty in Acupuncture Orthopedics through the National Board of Acupuncture Orthopedics (that’s the DNBAO behind my name). I have a committed ongoing process of deepening in the Classical Chinese Medical Yu Qing Huang Lao Pai lineage as it is presented internationally by the 88th Generation Daoist Priest Jeffrey Yuen. I love what I do and am devoted to True Healing. I take my time with you: 1.5 hours in the first visit and follow up office visits that best suit your needs overall. I educate you about what’s wrong, why and how it can be healed according to Classical Chinese Medical principles. 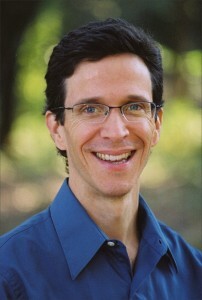 I tailor your acupuncture treatments and my services to your needs! We’ll consider what’s best for your health, your time, and your budget! All of our herbs are GMP certified, safe and effective. You can speak to me, the owner of Wright Acupuncture and Massage, directly about your needs. Your treatment is personally tailored to your needs. 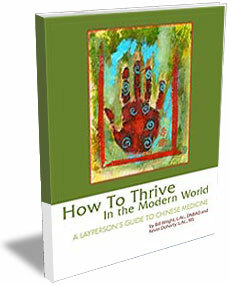 Many acupuncturists use the same protocols on all of their patients, and for the same disease entities. At Wright Acupuncture and Massage, your treatment specifically reflects your unique individual dynamics, AND your healing PROCESS. Your gateway to the best of both worlds. If I cannot help you, or think your case deserves Western Medical attention, I work closely with many Doctors. 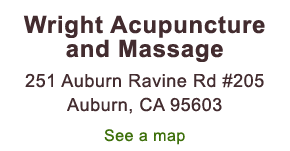 Give Auburn Acupuncture a Review Here! Sign up to receive news and updates and get my free e-book.